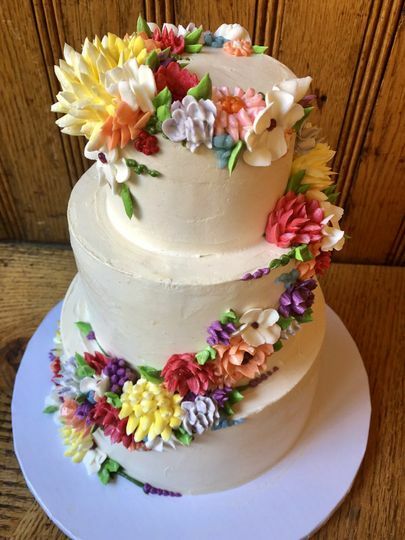 Ladybird Bakery is a wedding cake company based in Brooklyn, New York. Formerly known as Two Little Red Hens, the company has been making delicious treats since 1992. 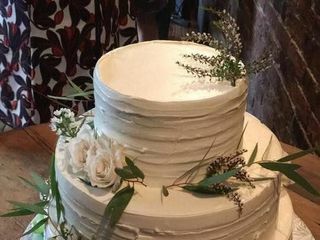 Owner and baker Mary Louise Clemens combines her warm, southern sensibility with classic recipes. 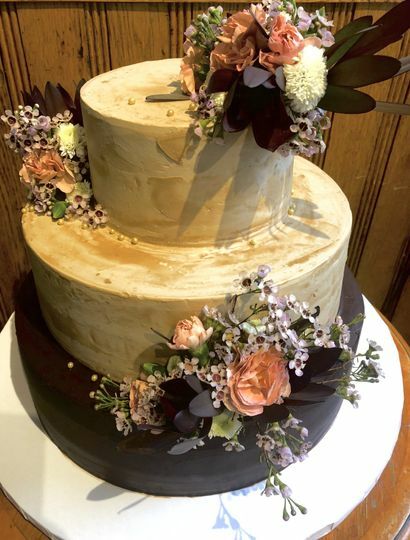 Known for their decadent Brooklyn Blackout and addictive Red Velvet, they have a range of famous goodies available for you to choose from for your special day. Melanie was incredible. 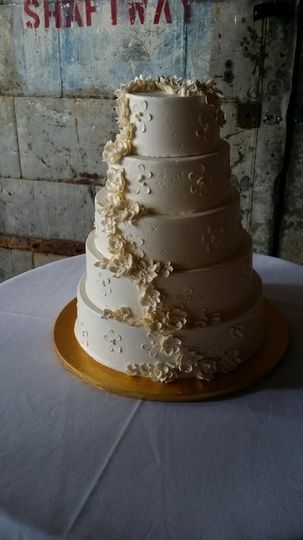 I sent her pictures of the cake we wanted for our wedding and it was perfect. 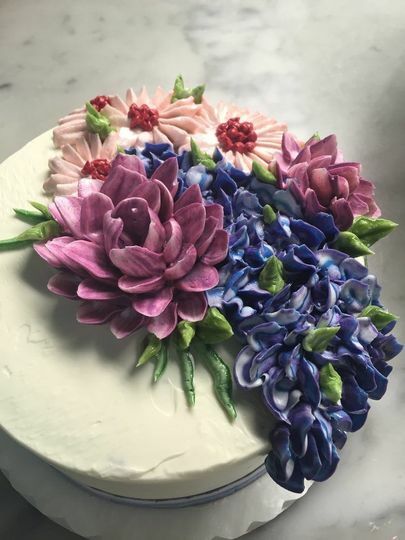 On top of that, she was able to make the entire cake dairy free and delicious! 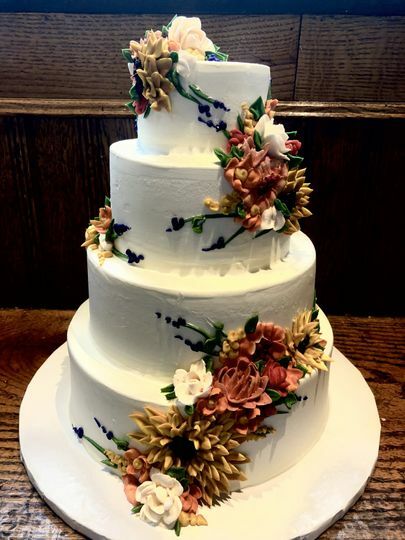 Melanie and the staff of Ladybird Bakery were a joy to work with. Our tasting was so much fun – we got to try something like 7 cakes, 6 fillings, and 4 frostings. 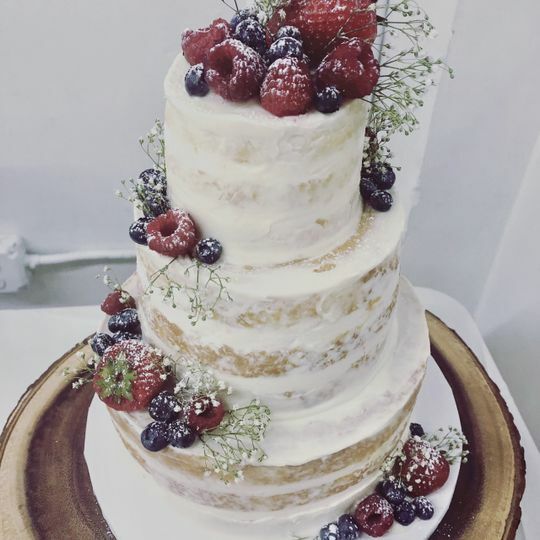 We knew immediately upon tasting their cake that we needed to hire them – the lemon curd is to die for! 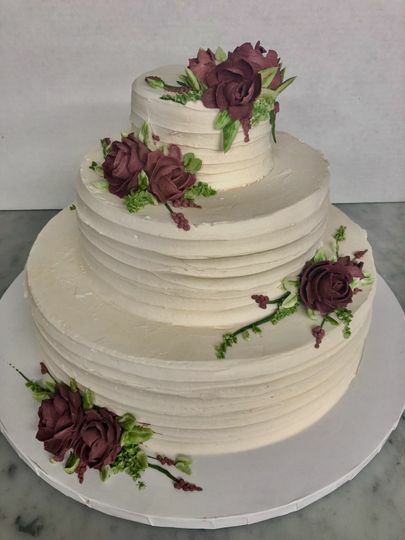 We ordered a 5-tier cake with two different flavor combinations (lemon cake with lemon curd & strawberry jam with a vanilla buttercream frosting, and chocolate cake with chocolate ganache & raspberry jam with a vanilla buttercream frosting). 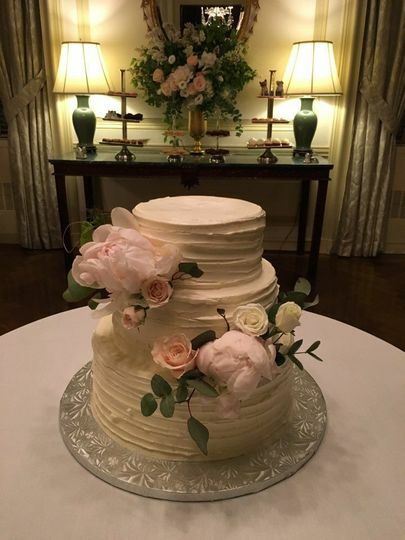 It was a truly delicious and beautiful cake (at a great price)! 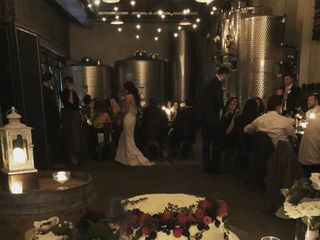 We will definitely order special occasion cakes from them again. Yum!! 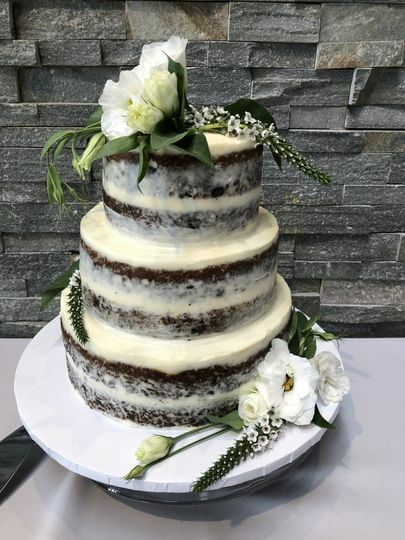 We used Ladybird to get a small cake to cut at our wedding, as well as many mini-cupcakes as a part of our dessert table. 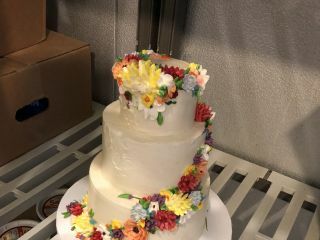 Melanie was extremely responsive throughout the whole process, and she really grasped what we were looking for with both our cupcakes and cake. The delivery was on time and everything was seamless. Oh and everything was DELISH! I've been going to this bakery for years to get true Brooklyn Blackout cakes, and was pleased to know that their other items are also delicious.